Our firm ‘Paul Borg Antiques’ was established by our late father Paul Borg in the 1950’s. Our father was one of the first antique dealers to start a business in antiques in Malta. In our shop in Naxxar Road, Birkirkara one can find a large selection of quality antiques from all over Europe. We also specialize in Maltese furniture, painting, silver, fine porcelain and objects d’art. We offer the services of estimates and valuations of any kinds of antiques. From our warehouse stock and shop we also hire furniture and objects d’art to film and television industries. Our dining collection includes fixed and extendable dining tables, dining chairs and sideboards. The tables come in different sizes all available in numerous customization options. Materials include glass, veneer, solid wood, ceramics and laminate. There is also a range specifically designed for smaller spaces, with maximum functionality. Our choice of dining chairs is equally vast and if you prefer an upholstered dining chair, you can choose from over 100 different fabrics and leathers. A selection of bar stools is also available. Our sideboards are also customisable. Step back in time when you visit Collector’s Den Antiques. 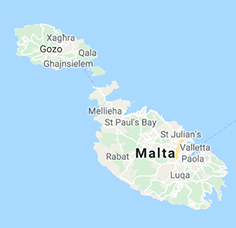 Here, you will find a plethora of traditional and historic items such as genuine antique engravings of views and maps of Malta and Gozo, antique engravings of Grandmasters, as well as old Melitensia books, postcards, clocks, pocket watches, figures, furniture and much, much more. So, if you are interested in artifacts of times gone by, visit us at Collector’s Den, situated at 122, Archbishop Street in Valletta. We open from 10.30am to 12.30pm from Monday to Friday. We may also be contacted on telephone numbers: 21 231845 or 79440029. Run by Alfred Tanti, Paul Tanti Ltd. was established by his father Paul over 60 years ago and continues to be a well-respected purveyor of fine English and Maltese antique furniture, Melitensia, paintings, clocks and lighting. With an eye towards the antiques of the future, we are also now sourcing 20 th century retro and vintage pieces. Antique furniture restoration is offered from our workshop in Sliema, carried out meticulously using traditional methods. This extends into re-upholstery and traditional gilding. We also produce hand painted furniture, transforming old unwanted but well made pieces into beautiful and unique statement pieces for your home. We are open from Monday to Friday from 9am till 13pm and Saturday by appointment. For the past 40 years, Blue Sky Furniture has been turning houses into homes. Let us do the same for you. We promise you high-quality furniture for a high-quality lifestyle, with outstanding style and excellent after-sales service. Blue Sky Furniture Ltd is a locally-based company which manufactures Malta-made furniture. We also import a select range of first-class furniture directly from Italy and Germany. Whether the furniture is manufactured locally or abroad, our emphasis is always on high-quality and durable products of optimum style. Our customers include not only domestic clients who want to furnish their home in style, but also commercial property owners and industrial segment clients. Our huge range of products include main bedroom suites, spare bedroom suites, living rooms, leather sofas, office furniture and custom-made furniture, as well as wooden apertures for interiors and exteriors (manufactured in Malta). We offer unparalleled after-sales services that include modifications and repairs which are carried out by our team of carpenters and joiners, as well as deliveries around Malta and Gozo. Living rooms are the focal point of many homes. All our systems are modular, which means that you pick and choose all the items separately in the colours and sizes that you need, so you can create the right environment that really makes it your own, and you can go as casual or as formal as you like. Our sofa designs are also based on modularity and functionality. They come in over 100 fabrics and leathers, and with a choice of legs. Complete the look with functional and customizable coffee tables, side tables, footstools and armchairs. Just like our sofas, the armchairs come in the full range of upholstery with a choice of leg designs. Our wall systems cater for modern storage needs and are perfectly optimized for media storage. One can choose from open-shelf style or with doors, to hide whatever needs to be hidden. Most of our coffee tables come in a choice of colours and legs, and some are multi-functional - tabletops that can be lifted or a coffee table that can be turned into a dining table. Finish off your living room with a beautiful rug, which come in various sizes, colours, patterns and materials. Our rugs are all handmade and can all be considered art pieces.